I promise, this salad convinces even the greatest of salad sceptics! 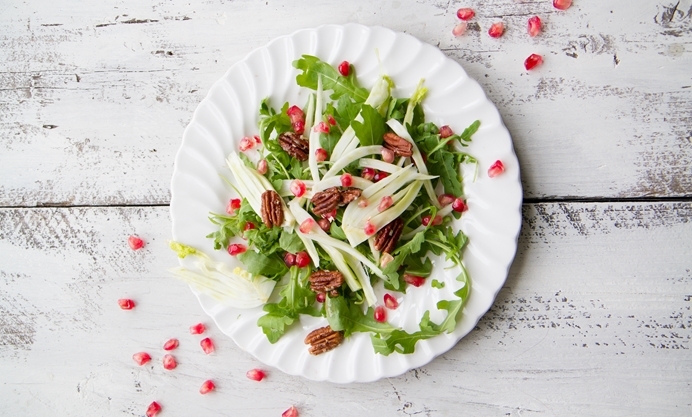 The peppery rocket works really well with the caramelized pecans and subtle fennel flavours. 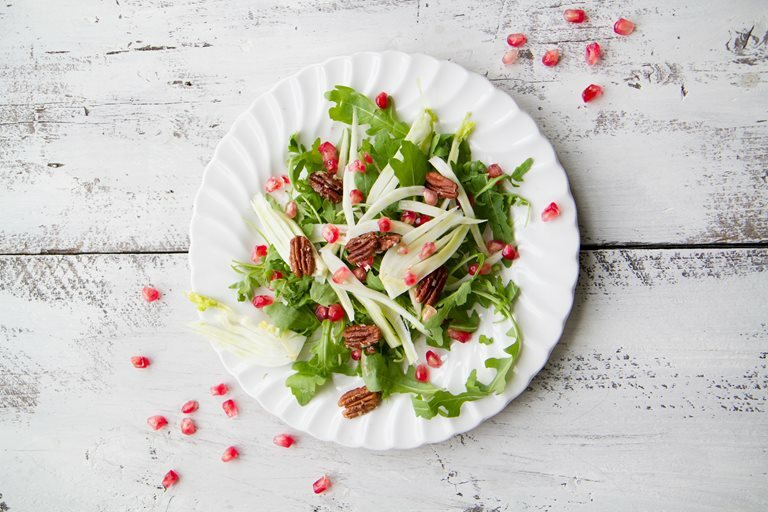 Add to that the bursts of little pomegranate seeds, and you’re in salad heaven!